Dear Rachel,For those who may just be joining us or catching up, we’ve been on a journey of remembering highlights from each of the past 10 years of Extreme Community Makeover’s history. This month, we’re reflecting on 2016. In 2016 we hosted the most volunteers ever in one year – 4,090 volunteers! That is a lot of helping hands from churches, companies, individuals, organizations, and schools. 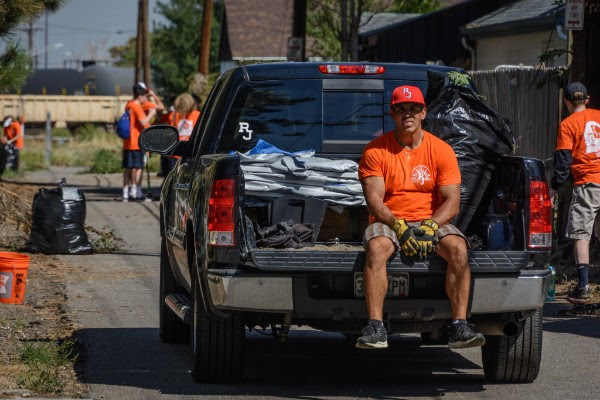 Our theme for the year was to grow deeper roots and I think the video below (a favorite of mine from 2016) shows a great example of how Extreme Community Makeover is doing just that through our work in Denver neighborhoods. October is the last month of regularly scheduled Work Days, so come join us for one of these volunteer days! Get your tickets today for one of Extreme Community Makeover’s most fun events of the year – Art is in the Air! 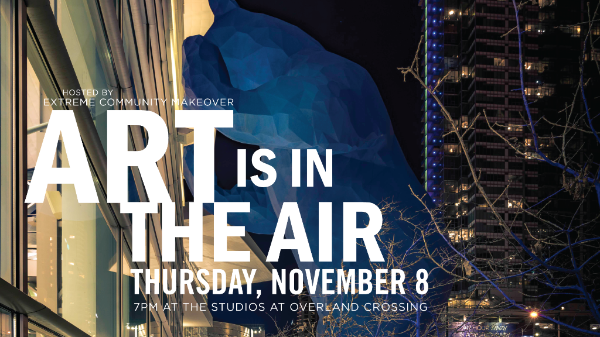 Our annual fundraiser will be held on Thursday, November 8 at 7:00 pm at The Studios at Overland Crossing. 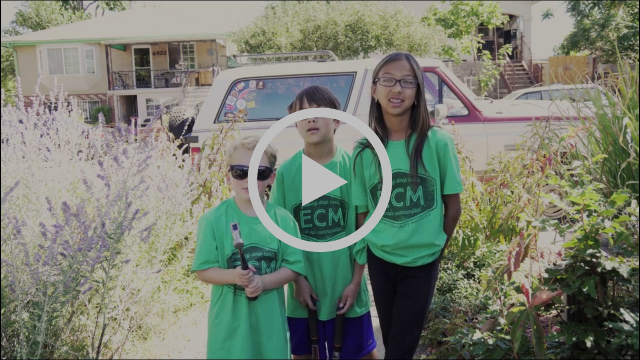 With live art and music, a raffle, live and silent auctions, appetizers, drinks, and desserts, along with some fun new elements to this year’s event, it will be a great evening to support the work of ECM! 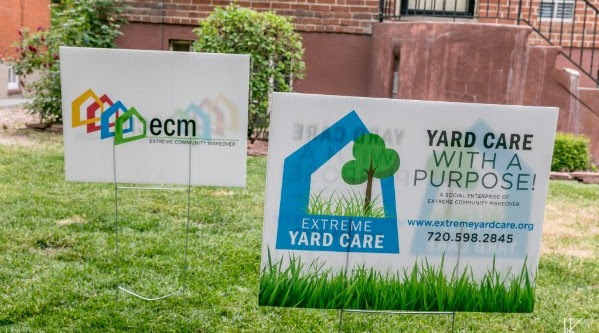 Extreme Yard Care, the lawn care social enterprise started by Extreme Community Makeover, has a number of services available to help transition your yard from fall to winter. Services include aeration, leaf clean-up, mowing, sprinkler blow-outs, winter guard lawn treatment, and many others. Call today for a free quote – 720.598.2845. Or send us a message online – www.extremeyardcare.org. Thank you to all the groups who volunteered in the month of September! Copyright © 2018 Extreme Community Makeover, All rights reserved.